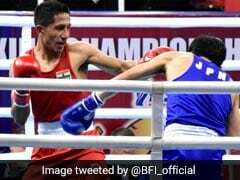 Satish Kumar outpunched Tajikistan's Siyovush Zukhurov to bring some cheer to the Indian camp, which had been left disappointed by contrasting defeats that Madan Lal (52kg) and Kuldeep Singh (81kg) faced earlier in the day. 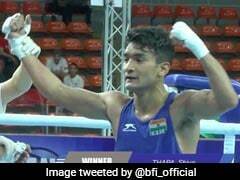 Satish outpunched Tajikistan's Siyovush Zukhurov to bring some cheer to the Indian camp, which had been left disappointed by contrasting defeats that Madan Lal (52kg) and Kuldeep Singh (81kg) faced earlier in the day. Satish was awarded a win via Technical Knockout after his opponent received two warnings for excessive bending, besides showing an inability to deal with the ferocity of the Indian's beating. After a rest day tomorrow, Satish will be up against second seed Wang Zhibao of China in the semifinal. However, there was disappointment too as Madan and Kuldeep bowed out, even though they still have a chance of making the World Championships cut if their respective rivals make the finals. 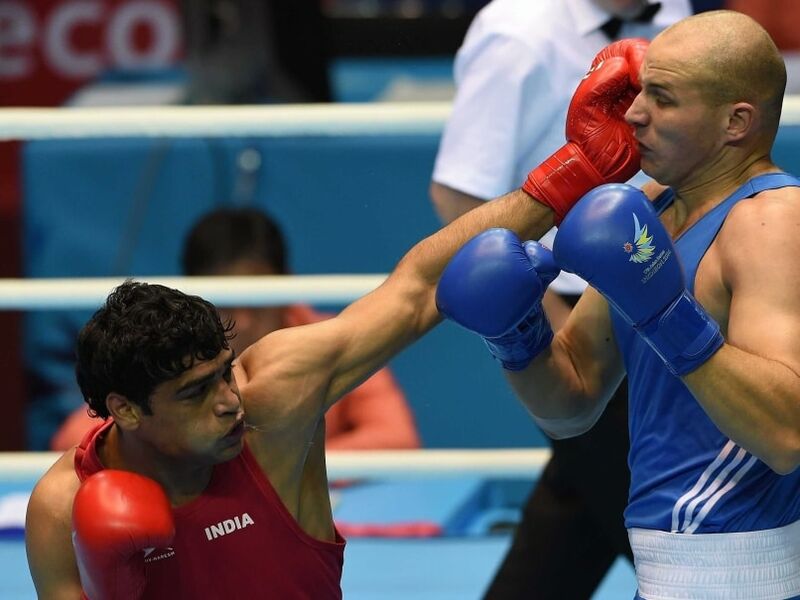 "Satish was very dominant in the bout and the referee had to stop the contest in the third round because the Tajik was unable to handle the beating and was indulging in excessive bending," national coach Gurbax Singh Sandhu told PTI. First up for India was Madan Lal against second seed Shakhobidin Zoirov of Uzbekistan. The odds were loaded against the Indian and he failed to beat him in the lopsided contest. Up against a sharp, quick on the feet and incisive rival, Madan was all at sea and was thrown off balance on more than one occasion. The Haryana-lad hardly managed to respond to the unrelenting assault by Zoirov, who quite literally toyed with him in the last few seconds of the bout before clinching it 3-0. Next man in was Kuldeep and he gave a valiant fight before going down 1-2 to second seed Korean Kim Hyeongkyu. The former national champion was not the least bit intimidated by his more fancied opponent and managed to unsettle him with some clever counter-attacks. After being matched punch for punch in the opening round, Hyeongkyu was cautious in the second round and hesitated in launching any attacks against the gutsy Indian. In the final round, Kuldeep went on an all out offensive but could not get the Judges' nod despite seemingly dominating the contest. 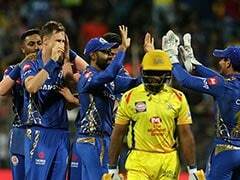 "Kuldeep fought like a lion, it was a brilliant performance given that he was the underdog. 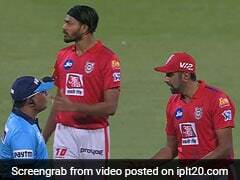 It is sad that he had to end up on the losing side," said Sandhu. Wednesday's results leave the total number of Indians in the semifinal at four. L Devendro Singh (49kg), Shiva Thapa (56kg) and Vikas Krishan (75kg) had earlier assured themselves of medals and a place in the October World Championships. Shiva's rival in the last-four stage would be Murodjon Akhmadaliev of Uzbekistan, while Devendro will square off against top-seeded Uzbek Hasanboy Dusmatov in the semifinals. Vikas will face Iraq's Waheed Waheed Abdulridha in the semifinals. "I am satisfied with the performance of the boys. 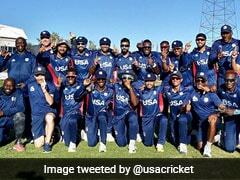 Four in the semifinals is a very good show and hopefully they would do better," said Sandhu. The World Championships in Doha are the first qualifying event for the Rio Olympics next year.